If you open an electricity account with National Grid and you do not sign your own contract with an electricity supplier, you will be automatically enrolled in PowerChoice, which offers the lowest price within the program. Like National Grid Basic Service, PowerChoice meets state minimum requirements for renewable energy. The majority of the electricity in PowerChoice comes from traditional energy sources such as natural gas, coal, and nuclear. If you want 100% green energy, you may choose PowerChoice Green for a small premium. If you do not want to participate and you choose to opt out, you will remain on National Grid Basic Service. If you would like to leave your current electricity supplier and participate in Nantucket PowerChoice, please call Direct Energy at 1-866-968-8065 and ask to be enrolled. Program prices are in effect from May 2018 – May 2020 meter reads. These prices apply only to the electricity supply portion of your bill. Delivery charges are unaffected by the Nantucket PowerChoice program. in PowerChoice. To upgrade to PowerChoice Green, call Direct Energy at 1-866-968-8065. If you opt out, you will remain on National Grid’s Basic Service. Exit Terms Leave any time. No exit charge. Leave any time. No exit charge. Leave any time. No exit charge. * Prices include a 0.1 ¢/kWh administration fee and an extra 0.1 ¢/kWh to support Nantucket’s local Solar Rebate Program. Program prices could increase as a result of a change in law that results in a direct, material increase in costs during the term of the electricity supply agreement. ** National Grid’s fixed Basic Service prices change every six (6) months for residential and small business accounts and every three (3) months for medium and large business accounts. They will next change on February 1, 2019, for industrial accounts and on May 1, 2019, for residential and commercial accounts. The total required amount increases by 1% every year. For 2018, it is 23%. Within that 23%, 13% must be from newer New England-based renewable energy projects, or Massachusetts Class I RECs. This requirement applies to National Grid and also to any other electricity suppliers, such as Direct Energy, which is the electricity supplier serving Nantucket. 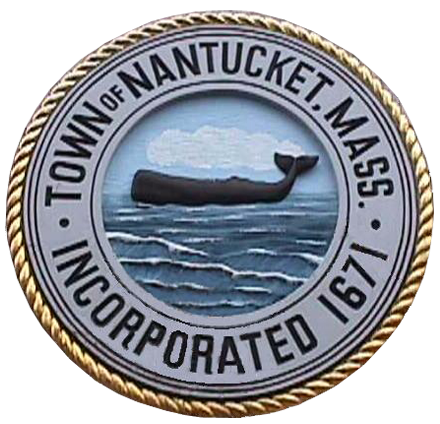 The Nantucket PowerChoice program purchases renewable energy certificates, or RECs, to integrate renewable energy into the Town’s electricity supply. In general, RECs are used to determine the environmental content of electricity. Each REC represents proof that 1 megawatt-hour of electricity was generated by a renewable energy resource. For more information about RECs, visit this page and scroll to the bottom.